We did it! We got a weenie dog, named Spotsy. He is named for Spotsylvania, VA, where he was found, and for his spotted appearance. 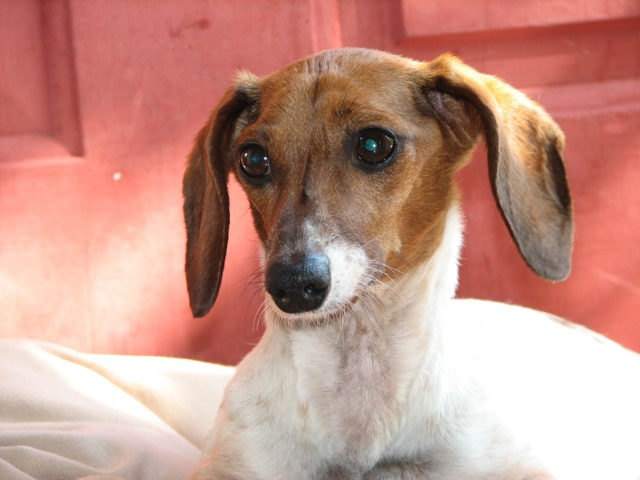 We worked with Dachshund Rescue of North America, a fantastic organization. Spotsy is very sweet and affectionate, loves to cuddle and be with his people. He has visited the office a couple of times already. 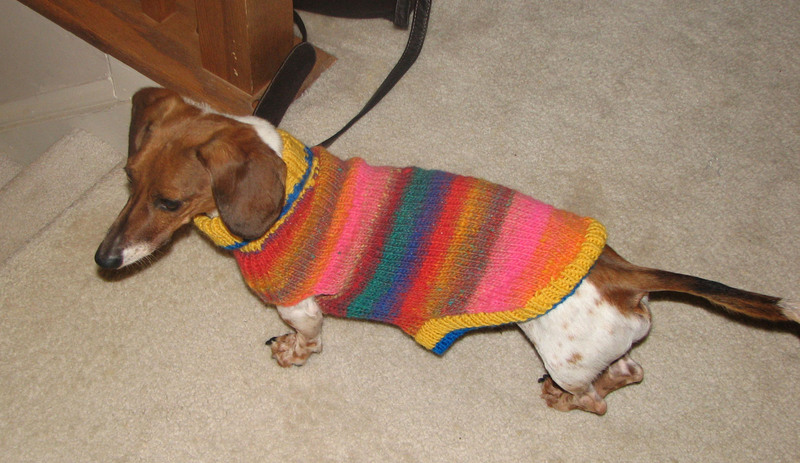 I’ve already knit him a stylin’ sweater, which he likes, because he is always cold. 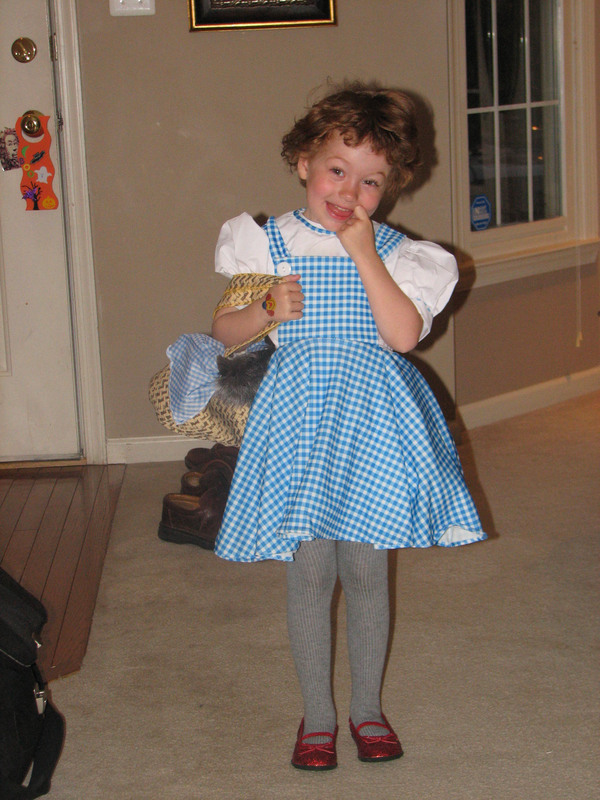 Amelia missed her party at school because she was sick, but did go trick or treating as Dorothy from the Wizard of “Boz”. I saw T for a nano second and he told me you got a dog. How cute is he! Spotsy is a prefect name. Now Ameila looks adorable as Dorothy. Oh you’re little girl is so adorable! She’s a perfect Dorothy!! 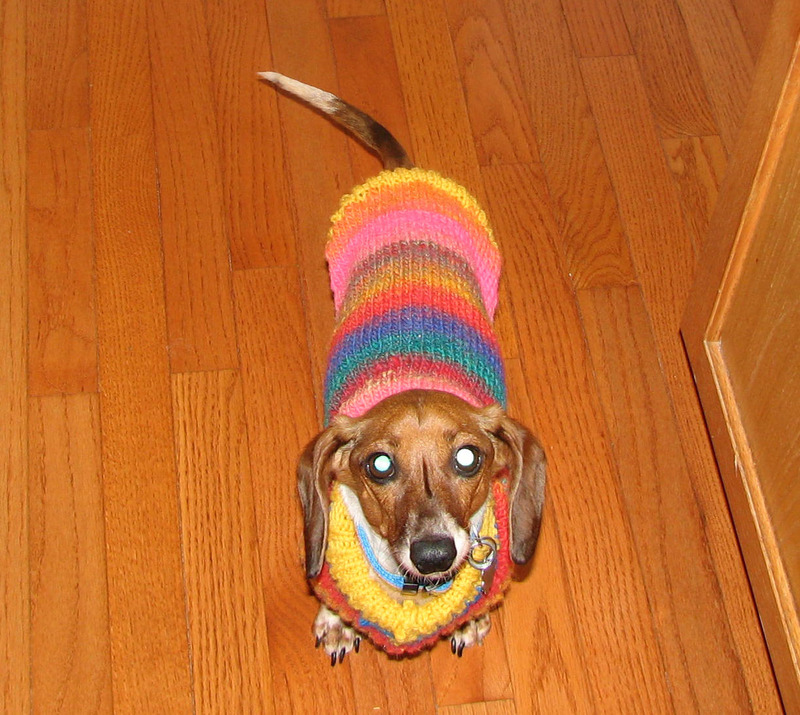 Your little doggy looks so sweet in his new sweater! Congratulations on your new addition to your family. He is so cute…..as is “Dorothy”!